Studies show that pigeons are smarter than we think. For example researchers at the University of Iowa have found that pigeons are just as good at spotting cancer cells in medical imaging as human pathologists. Four pigeons looking at selected images of healthy and cancerous breast tissue were able to be trained over a few days – by being rewarded with food when they pressed a button – to spot the differences and then apply that skill to new images. They correctly identified the cancerous slides with 85% accuracy, the same as humans. They were also as good as humans at recognising cancer-related calcifications in mammograms. The researchers suggested that pigeons have an affinity for histopathology. 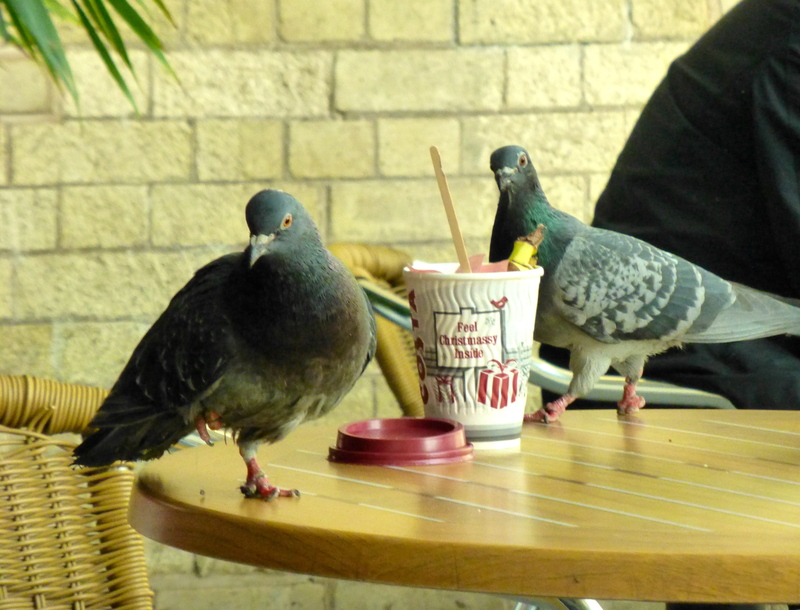 Pigeons have also been used to identify misshapen drug capsules and Monet paintings. Is there no end to their skill set? 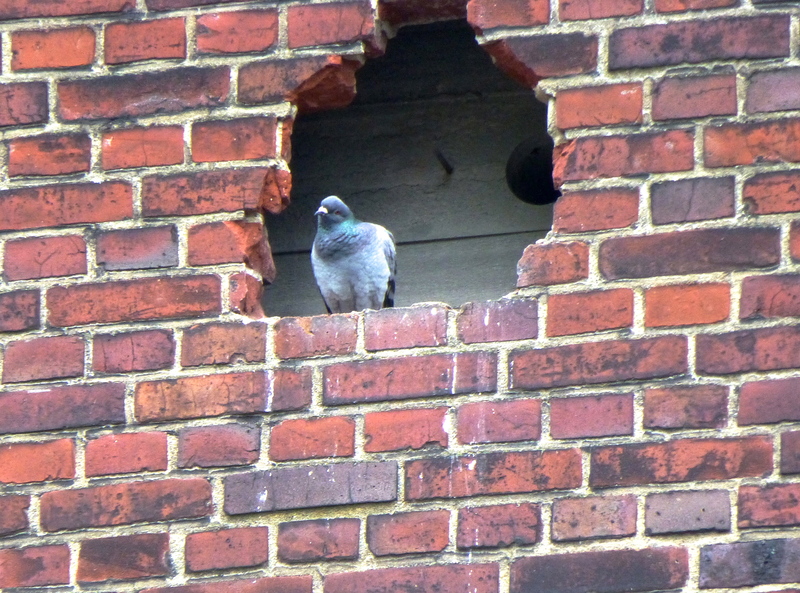 I’ve posted about pigeons on and off over the years. Just wish they’d learn to clean up after themselves. Categories: Health, Work | Tags: cancer, histo-pathologists, mammograms, pigeons | Permalink. The Germans have a reputation for well-engineered solutions and this pigeon is no exception. It’s living in an abandoned building near the up-and-coming port/harbour district in Munster and presumably hoping property prices will rise. If you look carefully you’ll see the access to further living space and a handy perch for guests. I’ve posted before about pigeons and I think they’re a lot cleverer than we give them credit for. 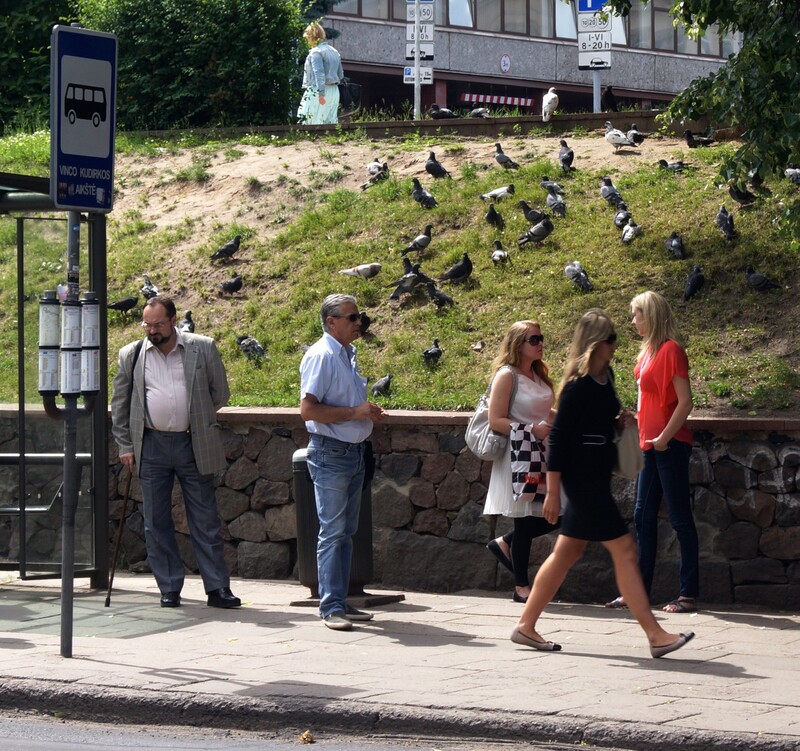 Categories: Lifestyle | Tags: Germany, Munster, pigeons | Permalink. Imagine you are a contestant in a “Let’s make a deal” game. 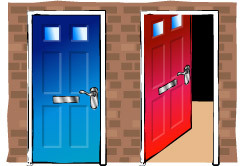 There are 3 doors to choose from: yellow, blue, and red. You choose the yellow door. One of the doors you didn’t pick is opened, let’s say the red door, to reveal no prize. You now have a choice. Stick with yellow? Or swap for the blue door? It seems counter-intuitive but switching doors doubles your chance of winning. Categories: Psychology | Tags: decision-making, gambling, pigeons, prize, probability | Permalink. Replacing sniffer dogs with a vulture squad probably seemed a good idea at the time. After all they can spot a dead mouse from 3,000′ up in the air. But the German police, who trained three vultures near Hanover, were disappointed. Fitted with tracker devices – and we know what problems that can cause (the last Vulture caught with one of those was captured as an Israeli spy) – it was expected that they would find bodies quickly and thereby close cases quicker as well. The vulture leader, named Sherlock, was assisted by by two younger ones named Colombo and Miss Marple. Sherlock apparently can’t distinguish between animal and human bodies, doesn’t want to fly, and spends all his time hanging around the burial training site. The other two just fight with each other. Perhaps there’s hope for pigeons yet. Categories: Work | Tags: German police, pigeons, vultures | Permalink.